3) On the right panel, from the drop down menu option labeled "Select a Physx processor" CPU. Next, select "Apply" to complete these changes. 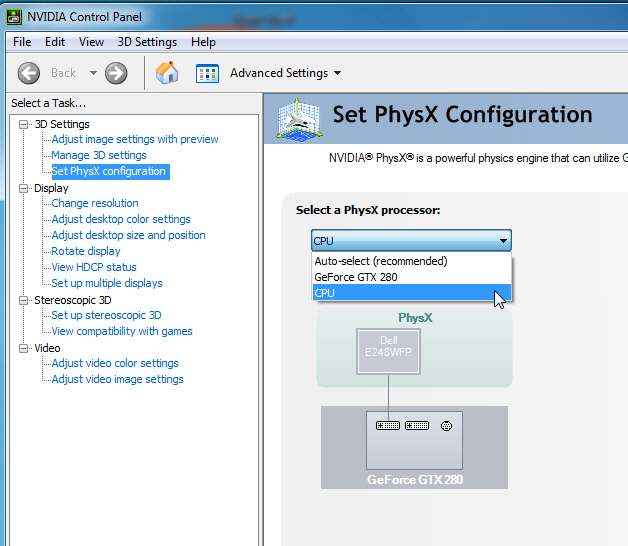 This will disable NVIDIA Physx GPU accelleration. Any physics computation will be handled by the CPU.